Home » News » 4 Wedding Styles Sure to Stun! Whether your style is traditional, modern, rustic or anything in between; our creative staff will work with you to bring your dream wedding to life! We absolutely love it when our clients & prospective clients alike drop by our showroom to experiment with different colours and styles. So, come by anytime and have some fun with your ideas! Barn weddings seem to be ever-popular right now, and it’s not hard to see why. This style is charming, rustic and just perfect for all those country souls out there. Family style tables work very well for this setting, as they create a more casual dining experience for your guests. 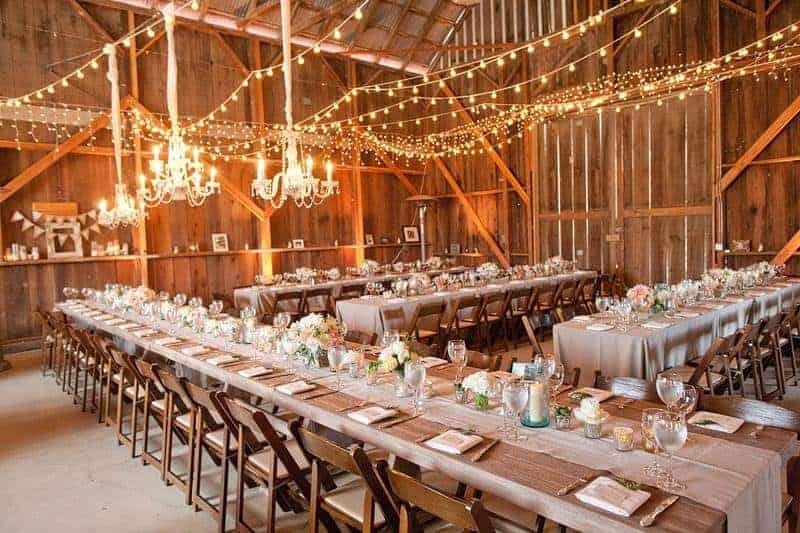 You can always dress up a barn setting with twinkly lights and elegant chandeliers. Chandelier lighting also creates a beautiful warmth in the space, which will enhance the intimate feeling of a barn wedding. This wedding was absolutely stunning! Black satin table runners and napkins, paired with our white linen tablecloths gave this reception a tuxedo-like feel. You can never go wrong with a black and white affair, it’s timeless and perfect for any venue. This client chose our Crystal Chiavari chairs, with a black padded seat. 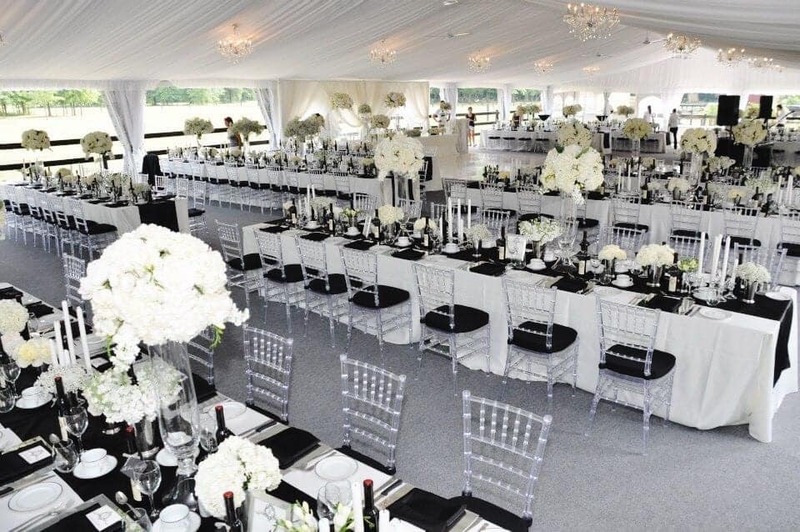 Another stunning option is to pair our White Chiavari chairs with black or white cushions. 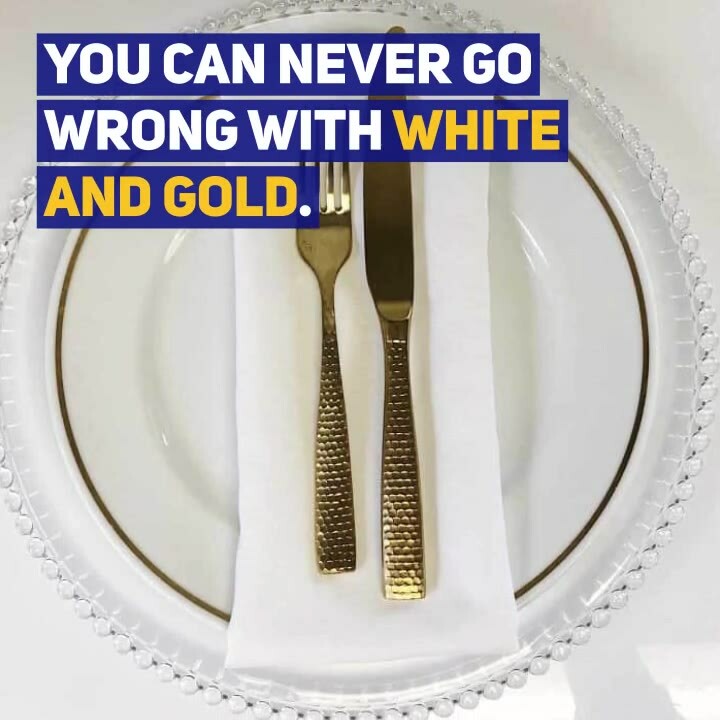 Our Walnut Folding chairs are ideal for any space, but they work especially well when paired with white linens. 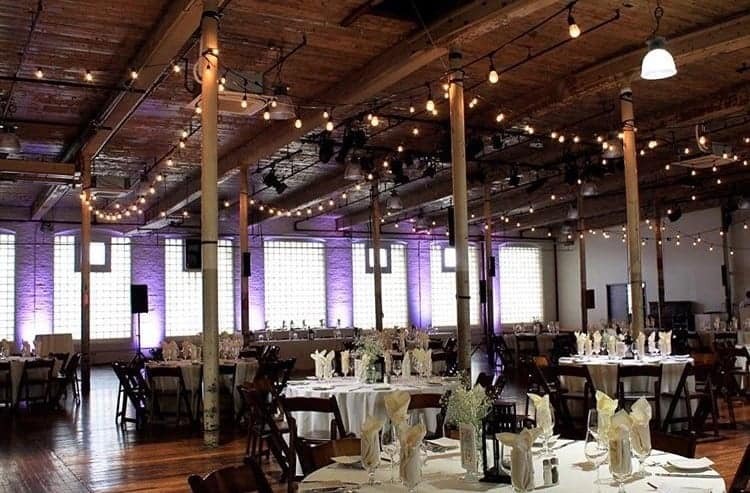 The contrast is just gorgeous, and if your venue has exposed brick and reclaimed wood floors – it’s a match made in heaven. Add Edison lighting to create a vintage romantic vibe in any venue! We’re currently up to our eyeballs in tent requests for weddings, showers, backyard parties – you name it! 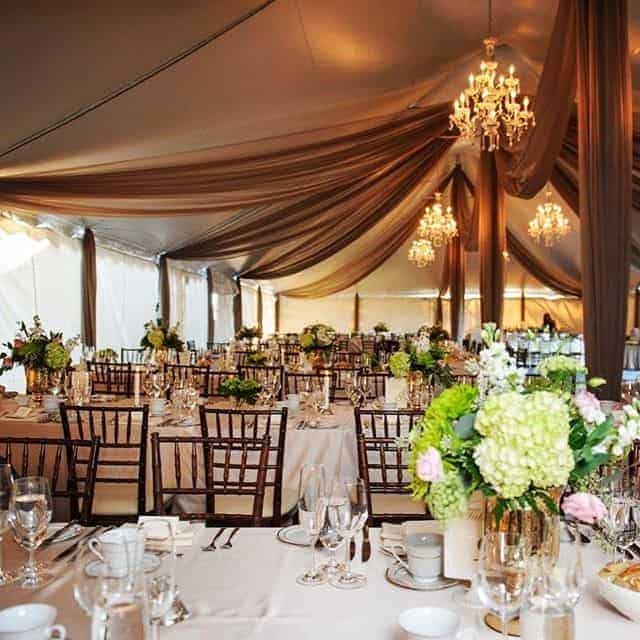 But, you really can’t beat a tented wedding with elegant chandeliers and luxurious draping. This client chose to go with a soft taupe draping, rather than the standard white. It worked quite well in the space with our Mahogany Chiavari chairs. They kept the linens clean and simple – and with coloured draping, white linens are always a subtle stunner. We post blogs weekly folks, so subscribe below for inspiration and new products!